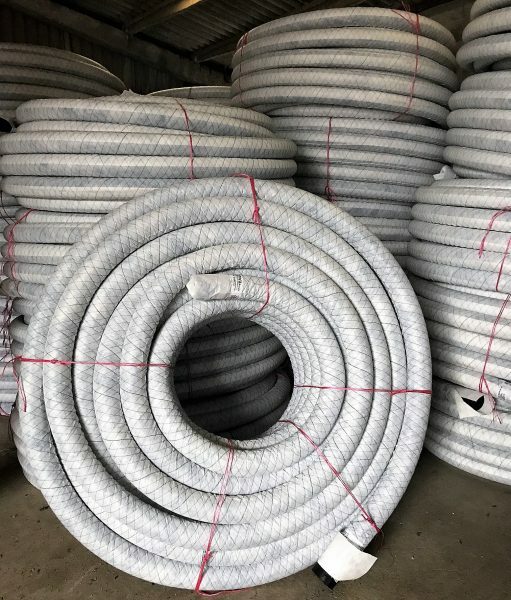 Our Terram 800 or 1000 filter wrapped drain pipe comes pre-wrapped with twine allowing for quick and easy installation. This is unlike the fabric stocking application which can be time consuming and potentially tear whilst being applied. All the above is generally in stock for same day collection if required, for larger orders we may require some notice. We are also able to wrap large diameter pipes, such as twin wall. Wrapped twin wall pipe will be made to order and is available on request. In a very fine silty and sandy soils ordinary non wrapped drain pipe systems can become blocked and ineffective over time. 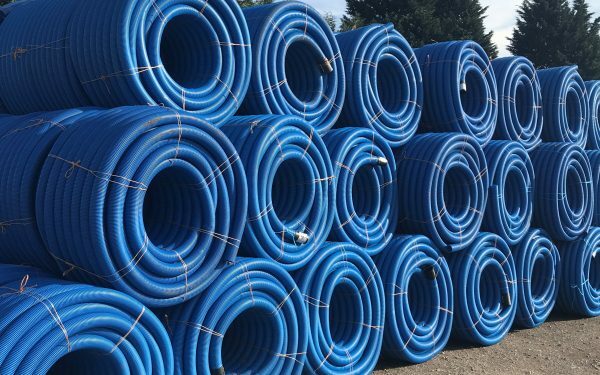 The Terram geotextiles wrapped around the drain pipe acts as an external filter thereby extending the service life of the drainage systems and allowing previously ‘un-drainable’ land to become productive. 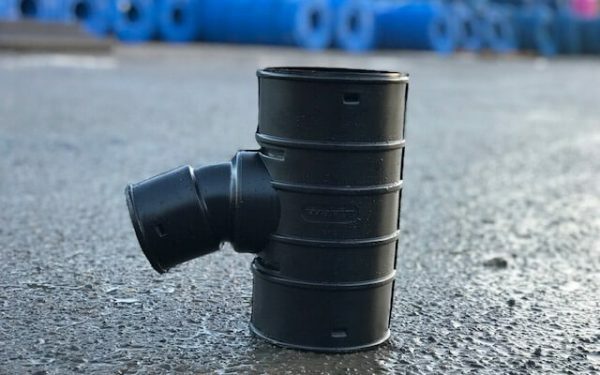 Our FD8 Narrow Filterdrain pipe uses a geotextile accepted by the Highways agency. FD8 is installed at the edge of roads and embankments and is an effective drainage system in Highway construction.